By Carl Amari and Martin Grams Jr. Revisit radio's golden age with this classic compilation! 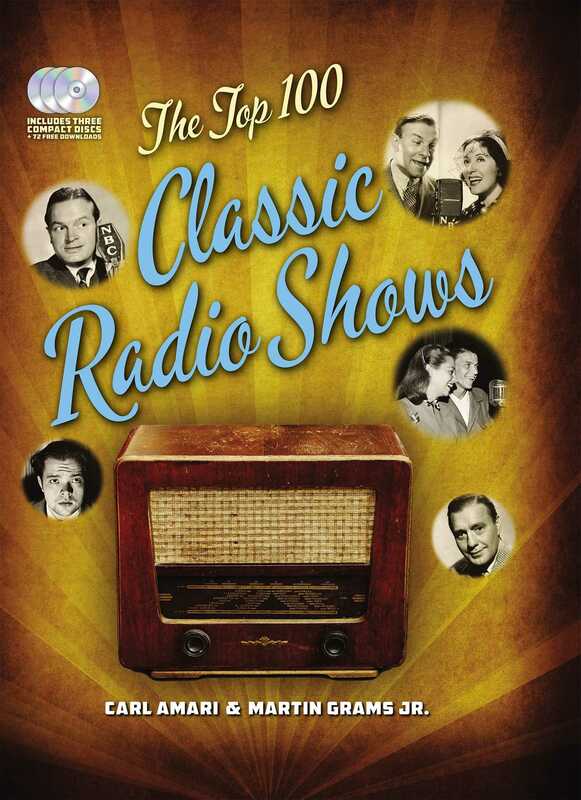 A compendium of the top radio shows from the golden age of Hollywood. This book is chock-full of fascinating facts and behind-the-scenes information about the best shows from every era including the 1930s, 40s, and 50s. Organized into six categories, you'll learn tantalizing tidbits about the shows and talent who made them famous. Includes comedies, westerns, dramas, variety shows, mysteries and suspense, sci-fi and superheroes. Settle into your easy chair and get ready to revisit the golden oldies, including The Roy Rogers Show, The War of the Worlds, The Bob Hope Show, The Shadow, and much more. Includes three audio CDs featuring one radio show from each genre, plus many more shows available to download. Carl Amari is an actor, producer, and syndicated radio host. He has spent 30+ years archiving and licensing over 100,000 original radio programs from networks and the estates of the creators. A 7-time Audie Award® winner and published author, Amari is the host and producer of the nationally syndicated radio shows Hollywood 360 and The WGN Radio Theatre. He also produces the nationally syndicated radio series The Twilight Zone Radio Dramas, hosted by Stacy Keach, and Fangoria’s Dreadtime Stories, hosted by Malcolm McDowell. Amari also writes a monthly syndicated column, "Radio 360," in ReMIND™ magazine.